Many environmental remediation projects involve groundwater cleanup. Too often, projects are divided into two phases, with groundwater clean up as an afterthought due to budgetary challenges. The job is not complete until the groundwater is clean. Our highly trained and experienced personnel consider these challenges and utilize a “Dual Matrix Cleanup” approach. Efficiency that fits your time frame and budget is maximized by remediating groundwater in conjunction with soil. We specialize in a multi-phased, rapid response approach when groundwater impact is involved. As site investigations and remediation proceed, treatment is often refined to address changing conditions. 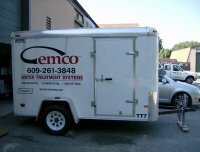 CEMCO maintains a fleet of specially equipped mobile treatment trailers for groundwater remediation. Each trailer is equipped to handle the variable harsh conditions required by a Rapid Response Program. 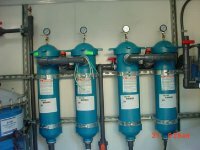 Every trailer incorporates a modular design for optimum flexibility - with treatment capabilities ranging from 10 gpm to greater than 40 gpm, singular units or units in parallel, and with or without oil separators—CEMCO can provide the best solution to your unique situation.